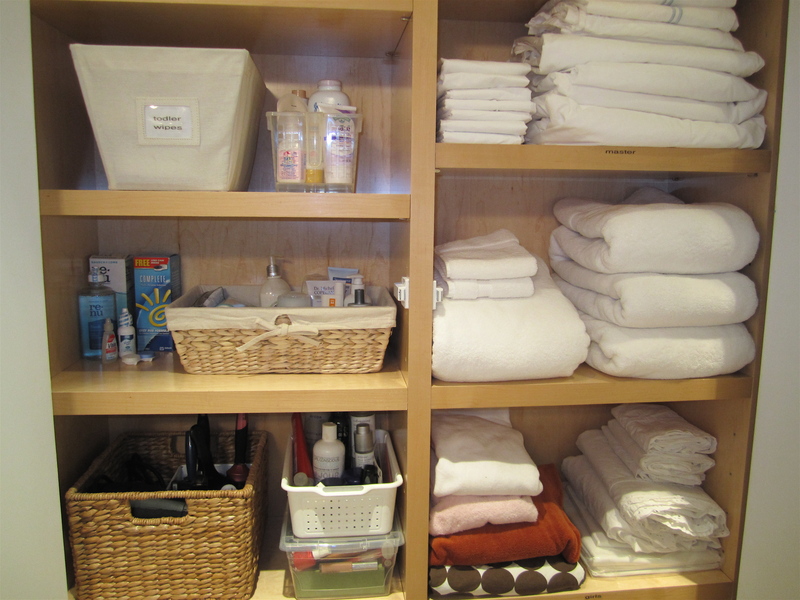 This client recently moved into a 2 bedroom apartment with her husband and 2 small children. The apartment is beautiful and all the closets have great shelving but having great closets doesn’t make you organized. She wants to make the space more functional and I want to make sure the insides look as great as the rest of the apartment. 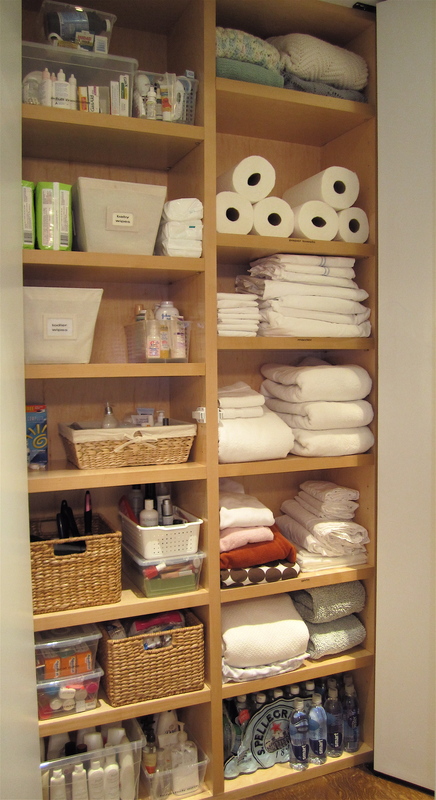 For the linen closet, she did a pretty good job categorizing and has plenty of nice storage bins, but I wanted to take it a little further and make it more functional. The large striped tote is now in the master bathroom holding extra toilet paper and we plan on getting something similar for the kids’ bathroom. We edited down the rest, sorted by category, moved a few shelves, and reused existing containers to put it all back. Things least often used are on the top shelves (which she can reach either way). And there’s still room to add more. For more info, check out my flickr. UPDATE: Just realized I spelled toddler wrong on the label, it has been corrected! 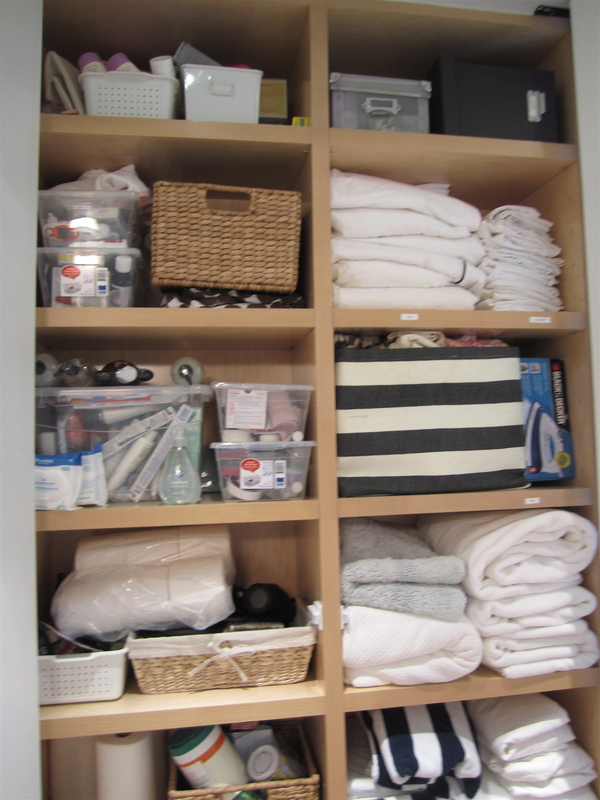 If you are unsure how to take your organizing a step further just imagine how they would style it in a shop. This helps me all the time. And its always such a joy to open the doors on a nice display.